In the beginning of March, SMK Stella Maris Labuan Bajo held its local WORDS storytelling competition. The judges crowned tenth grade student Irenius Irnas Jeno (Jenn) as the winner. Following the competition, Jenn asked ETA Arshelle Carter to accompany him to his hometown to pick up equipment for his performance as well as get more inspiration. Arshelle was excited to take Jenn up on this offer as she had only heard positive things about the UNESCO awarded site. 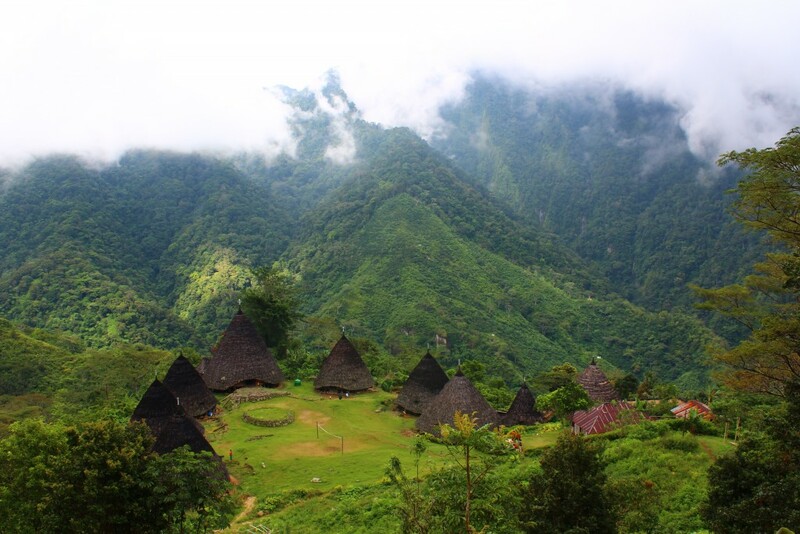 Jenn’s hometown, Wae Rebo, is more than four hours away from Labuan Bajo then you must hike two hours up a mountain to reach the village. Before making their journey to the top, the pair made a stop at Jenn’s house in Kombo located at the base of the mountain. Arshelle enjoyed being able to meet Jenn’s immediate family and promised to watch out for him when they traveled to Jakarta for the national WORDS competition. While the hike to the top was difficult for Arshelle, it was a breeze for Jenn and the many locals used to making the daily trek. Jenn is in the tourism program at school and used this trip as practice. 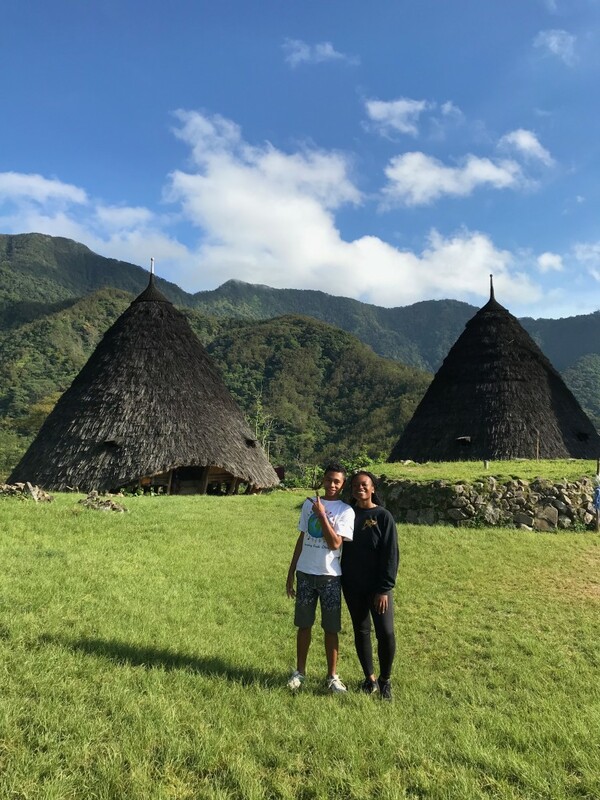 He explained many of the village’s cultural traditions to Arshelle, such as using Pepak (a traditional instrument), the welcoming Wa’e Lu’u ceremony and sacred Copang (alter). Apparently, news of Jenn’s success in the storytelling competition traveled far. As they walked through the village, many of his friends and family members asked when he would be going to Jakarta. Jenn proudly answered as everyone wished him well. Wae Rebo is truly a gem and Arshelle loved seeing the details in Jenn’s storybook come to life. Arshelle looks forward to the national WORDS competition where she knows Jenn will make his hometown and SMK Stella Maris Labuan Bajo community very proud.